Uhm, im almost completely forgot this novel and some of these day it was already absorbed by WW. The description above is quite vague and I would understand why a reader would be reluctant to start reading the novel. But if you're looking for something that is different, this would be it. This isn't a VRMMO story, or a transmigration story. The human characters are treated as avatars/vessels for 'players' to take control of. These 'players' essentially took over the bodies of the flight passengers and treat everything as a game, including getting points, items and a leveling system. The normal humans who weren't taken over by players are treated as nothing more as NPCs. It reminds me of the manga 'Gantz', the films 'Body Snatchers' and 'Gamer'. The translation is great and includes footnotes to explain the Chinese idioms and abbreviations. The prose itself is well done with a mixture of comedic thoughts from the MC and dramatic action scenes, though the MC's mannerisms might be exaggerated to some readers. This novel had me hooked so hard I caught up with 681 chapters in a little less than a week of reading, and it was amazing. Everything seems delicately and meticulously planned to the point where sometimes only a hundred chapters later does something finally click and make sense, and it just blows your mind. I love it when stories do this because it shows how well the author thought everything out or planned ahead. In this story, everything seems to happen for a reason and sometimes it'll come back... more>> when you least expect it. In fact, I've had moments where I stopped reading and just began theorizing why something in the story happened. And sometimes Im actually been able to reach a partial answer that later proves to be right! The author lays down the evidence and builds a world so convincing that us the readers, can actually guess as to what might be happening. And jeezus, the amount of research that the author puts in for the historical dungeons shows his dedication. Almost every dungeon has a sort of backstory to it, and it's mostly connected to some legend, history, or real locations. Although the author takes his creative liberties with the background, his research on the topic is quite in depth allowing for some really interesting stories that seem really legit. I actually read some of the historical dungeon parts and later found myself reading Wikipedia articles about the settings and people he used in the story, only to find they were quite accurate. A bit of a spoiler, but you'll hear history from the infamous Jack the Ripper case, the Legend of King Arthur, a French King (forgot his name) and his fight against some other king, etc etc. It's clear this novel is quite fleshed out and well thought out. The MC, Chen Xiaolian, is also really good! I see people hating on MC in the reviews because he's weak or whatnot, but the way I see it is, he's balanced. With every dungeon you see him develop and grow. He begins as a really well learned novel writer using his grasp on knowledge to figure out things within historical dungeons. A bit naive and too kindhearted for the world hes been shoved into but he'snot afraid to do what he has to do. Later on you'll see him grow into someone who is a decisive leader who is still kind but knows when to be cruel, and a lot m mature. He's a character that really grows. Yeah, you know that feeling where the MC started as a weak but smart individual and then starts working hard to get powerful? That plot where the MC gets push around every so often until he finally gets his break, killing of all his enemies and you feel like shouting GOOOAAAAAAAAL! This is the problem. 450 plus chapters and you won't have a sense of accomplishment at all. He gets to kill the small fries but the big bosses is killed by LUCK. Always by luck either by his team mates or circumstances. Really unique and funny. Though this novel was kind of a serious novel at the same time. Only negative though is that almto eith any level up MC book, thelater u go into the story it stsrts to become dull. After binge reading this novel, I must say it has some interesting ideas and concept. Each arc is pretty interesting and adds to the plot (except the Africa one, which I dislike.) MC is not super OP and is not able to "carry" his team through each instance. Another thing I dislike about this novel is the long drag before the MC is finally successfully able to get back his lover. I will admit, I tried to read this a few times before and didn't get beyond the 10th chapter before stopping. It just bored me to be honest. But given the reviews and the fact that I have found the beginning of a lot of pretty good translated novels to be sub-par I kept giving it another go. ... more>> And I am very glad I did after 30-40 chapters I was hooked. I binge read it in 3 days and can't wait for more releases. If you enjoy rpg elements and stories like Arena, Terror infinity, etc you will really enjoy this. The plot contains those rpg type elements yet is also unique. There is a pretty good over-arching plot that provides plenty of mystery and suspense aside from the almost episodic instances (will understand when you read :D). And what makes it of better quality than a lot of the translated novels is the good characterization; not just of the MC but also the supporting cast. My favorite novel of all the novels out there. The novel pushed me to start writing stories. From the start up to now, it was enjoyable. I read it everytime there was an update. Good foreshadowing. Even if you knew something is about to happen, its really hard to predict. The best story. Unique story too. As the blurb stated above, the MC was an NPC, a really interesting move. It was a jam-packed story. I'm really amazed by how much genre contained. Humor, action, tragedy, harem, romance, fantasy, adventure, sci-fi,... more>> many more to elaborate. It doesn't felt forced too. If you love pets and gundams, then read this. Story: Well its general premise is not something new, especially if it a certain Game Element is present, it acts like a guideline of sorts. Some things you've definitely have seen before. But what makes this interesting is the way this element is presented and how the setting is used. Its unique and intriguing without a doubt, without any spoilers I can only say the author really made something outstanding. 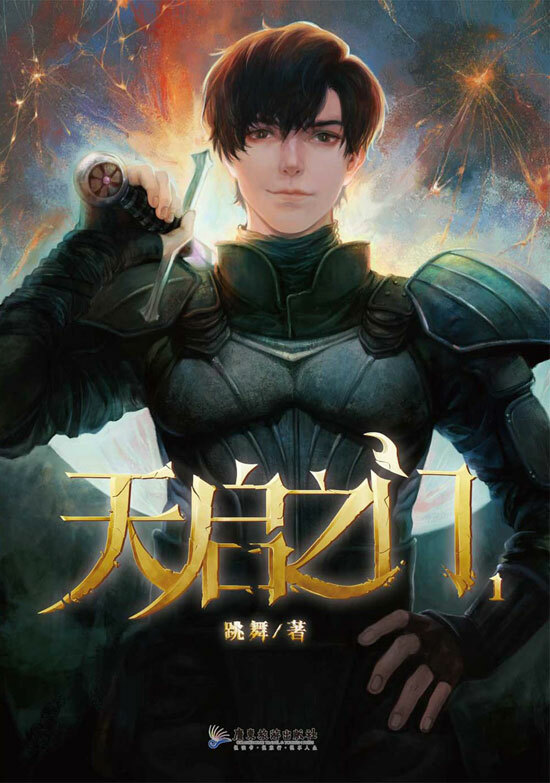 It's something worth reading since it treads a different path compare to the general stories you would read in general... more>> or from this genre. Characters (MC) : He isn't a good one nor a bad one. Even though I'm over 100 something chapters in, you still can't get a sense of this guy. A little bit you understand who he is but not why he is the way he is (not much on backstory). So there are still somethings to flush out. The fact that he is kind, courageous in situations, a critical thinker for me are artificial qualities of him in the story. You see him exhibit those because he is the MC, he is suppose to drive the story through. I can't say I don't like him because he has typical qualities of the hero of the story. He is something unique, not like the others, there were only somethings he can do in those dangerous situations. But I can't say I like him for almost the same reasons, he is unique only in the sense of the story not an objective opinion for the readers like me. It's not so much his problem though but more because of his character development. Character Development: The one thing I want to talk about the most! It sooooo sloooow, and I'm not exaggerating. This MC went through so much so far in this 140 chapters and I felt like he barely grew as a character. His a actions has no reason or cause, he protects Soo Soo because she was a kid which makes you think he is a good person with morals. You accept that at first but later you hope you can find out how he learned those morals. You get a tiny glimpse of his background so still alot of room to fill so you can't understand his base character yet from the ground up. He's now in his 3rd "Instance Dungeron" (you'll know once you read) and this has been the single most large event which is BEGINNING to develop his character. Of course it is my opinion but you'll notice it rather quickly. In the last 2 instance dungeon before it, think of it like 2 do or die situations for him....I get nothing, its the same events happening with different characters for that even happening in the same sequence. Arrival, meeting with other characters, MC critical thinking to solve puzzle, Dangerous situation, MC selflessness, and Soo Soo saves the day. Wtf? I felt like he hasn't had time at all, or the author made him not have time to reflect on the things that happened to him, plan ahead, etc. It sort of made sense since he is 18 but as the MC and driving force of the story, you would like him to grow. He does, I'm finally seeing it now but just slow. i do like the novel. But after reading the synopsis again I think it only fair to warn the new readers, while the synopsis makes the story sound lighthearted and humorouse (a bit like experimental logs of the craazy lich). Well its not. A good story but the synopsis really dosnt fit. Excellent idea for the story, the author really thought a lot regarding the plot and the starting characters. Sadly like most novels, it doesn't stay consistent. The first dungeon instance was really interesting, the characters interactions, the schemes, the descriptions, everything was really excellent. Then, things took a turn for the worse, the following dungeon instances became less and less interesting with a MC who takes crappy decisions yet has the plot armor as such he always ends up victorious. I believe the author is really good at world building, making us... more>> readers immerse in the story, but at the same time he lacks something regarding characters construction and plot building. The Gate of Revelation isn't just any "reverse Terror Infinity light novel". It just may be the most entertaining and modern theosophy text you may find. It doesn't force you to accept anything of faith, too. You get accustomed to the computer cosmogony ideas in the most natural way. Well, GOR still has these usual SF&F "ecology troubles". I'll try the "spoiler" tag for 'em, as the topic may actually contain spoilers and probably won't be too interesting for the general public too. 1. "I hear the biggest guild have a member count nearing a thousand"
It looks like the really grave case of simple (if you have just a little math background) miscalculation. a) The guild have to use it's EVERY SINGLE member in some third of it's missions at least (every one may pass just a couple of the guild's mission in raw, right?). b) The guild's don't seem to be bringing hundreeds of members to any dungeon. c) The numbers of Awaken ones and their guilds aren't all that big. Otherwise, we may see these 300 and more strong parties around, but rarely. But as the guild count isn't too big, we should see these large guild's hordes in almost every hard dungeon. Strong guilds are the ones that would get these invitation, after all. And forming small parties is an impossible policy, that would wipe 'em before they make to their fourth dungeon as a guild. An average dungeon may give us a couple Awaken at most. Great. The problem is, it may kill tens to hundreeds of these Awaken! It looks like the sure case of immenent Awaken extinction. On the other hand, Terror Infinity brings some 5 to 10 newbies to every event on awerage and brings about the same number of member's deaths. The rare case of working ecology SF&F world.